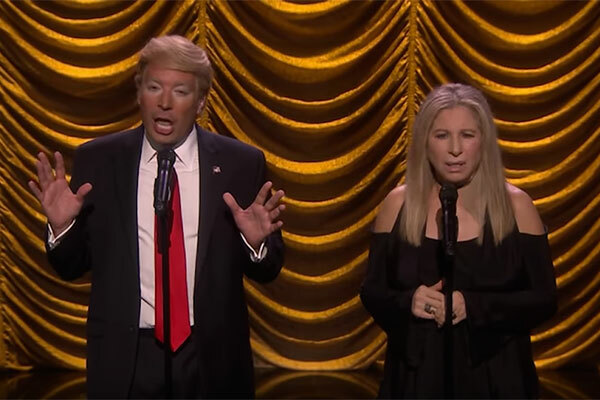 (JTA) — Iconic Jewish singer Barbra Streisand said during an interview with Australian TV that she will move to Australia or Canada if Donald Trump is elected president of the United States. Streisand, 74, who has endorsed Hillary Clinton and is known as a Democratic Party supporter, made the threat to move during an interview Sunday aired on the local version of 60 Minutes. The Clinton campaign announced over the weekend that Streisand will campaign this week with Hillary Clinton in New York City. 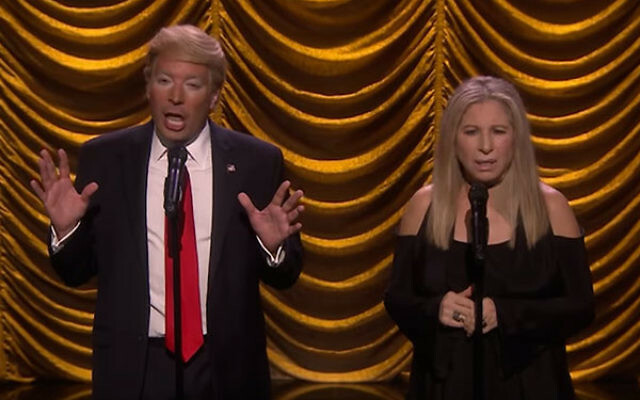 On the Tonight Show on Thursday night, Streisand sang a duet with host Jimmy Fallon impersonating Trump. Streisand is in the middle of a tour in support of her 35th album made up of duets, titled Encore: Movie Partners Sing Broadway. She mocked Trump repeatedly during the tour’s first concert.